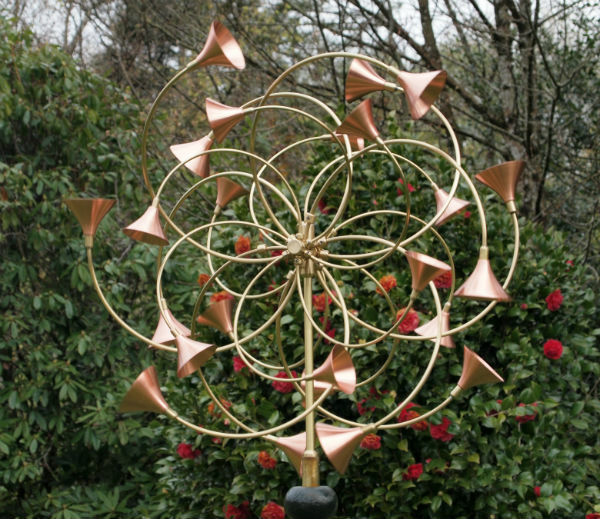 My name is Stan Jankowski and I make kinetic wind sculptures. My wind sculpture explorations began in the 1990's, almost by accident. As an offshoot of my love for making weathervanes and working in copper and brass it was a natural progression. The first wind sculpture was so mesmerizing that I just kept making, each successive sculpture getting more complex. As my sculptures and ideas evolved, so too did my fabrication skill, learning metal spinning was quite a task, but very worthwhile. My current body of work is the product of years of steady evolution.